CPIE Sensitizes the Community through Soccer in the Northern Chiefdom of Tambakha. In December, 2013, the Center for the Promotion of Inclusive Education organized a four-day soccer tournament in the Northern Chiefdom of Tambakha to sensitize the community about the importance of inclusive education in schools. In a society in which disability is often frowned upon as a”curse”, it will require an organized event such as this to begin the daunting task of changing traditional and erroneous perceptions of children with disabilities. Part of CPIE is to enhance the esteem of student’s with disabilities and to develop their friendships and community involvement beyond the sports arena. Social competence is extremely important to children with disabilities in Sierra Leone. The tournament was witnessed by students, parents, family members and well-wishers around the surrounding villages and towns. This shows that with prolonged involvement a child with disabilities can gradually gain social skills and become more functional in the community. CPIE intend to organize another sensitization Campaign through soccer in December, 2014. Center for the Promotion of Inclusive Education is fully committed to serve the educational needs of children with disabilities. 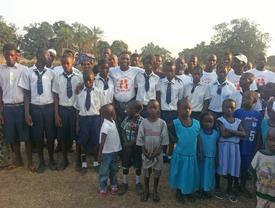 The Center for the Promotion of Inclusive Education (CPIE) in Sierra Leone announces a total of about 60 scholarships in elementary and secondary education on December 26, 2013. 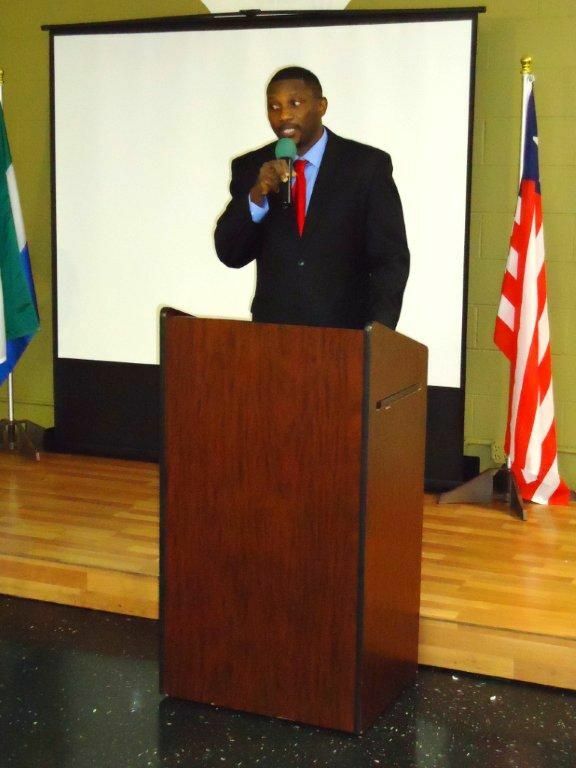 Under the guidance of its Executive Director, Christian Foday Sesay Jr, CPIE is making outstanding efforts in creating stronger educational advancement and inclusion for children with disabilities in Sierra Leone. The announcement of 2014 scholarships for primary and secondary students is just the beginning of many more scholarships to come for the most vulnerable children Sierra Leone and its next door neigbohs. “We know that there is a universal call for equitable and accessible education for children with disabilities and, as stakeholders it is part of our responsibility to help in our own small way, to provide them with the necessary resources to succeed” says Christian Foday Sesay Jr. “Our aim is to help children with disabilities progress in the education of their choice alongside their peers ,” he said,CPIE will be offering about 100 scholarships in primary and secondary education for the year. 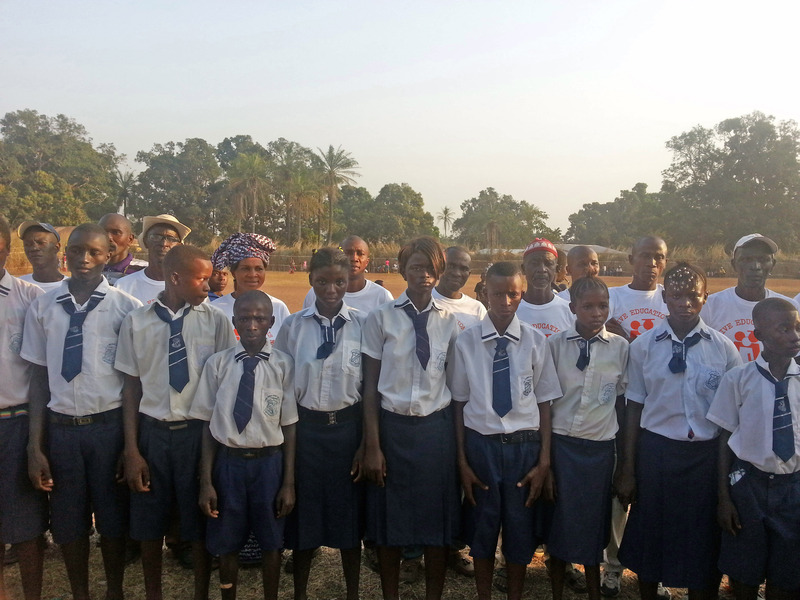 A cross section of schools in the Northern Chiefdom of Tambakha recently concluded an inter-schools athletics competition for both students with and without disabilities. According to one of the representatives of the Center for the Promotion of Inclusive Education in Sierra Leone, the event was well organized in the chiefdom in recent times. As was promised to a group of educators in the area during CPIE’s visit last year, the promise of sponsoring an inter-school competition became a reality. Students from all over the surrounding towns and villages were presented with this unique opportunity to participate in the 2-day event. Aligned with CPIE’s vision of providing a comprehensive network of coordinated programs and interventions supporting inclusive education and academic success of all students with disabilities. Speaking to the Executive Director of CPIE, the sporting events is used to achieve two goals. Firstly, it serves as a magnet through which other students and parents are enticed into enrolling at school, and most importantly, to use it as a point of opening a honest dialogue on some societal issues confronting student’s with disabilities in Sierra Leone. The advancement of the interest of students with disabilities is a top most priority at the center for the Promotion of Inclusive Education. On Saturday, April 19, 2014, the Center for the Promotion of Children with Disabilities was launched in the city of Hurst in Texas. The guest speaker for the event was Dr. Romain Dallemand a renowned educationist who has spent much of his professional life towards making an impact in education in the United States. Dr. Dallemand has served as Superintendent of schools in Atlanta and Minnesota and is referred to as one of the leaders in educational leadership and management in the United States by many colleges and universities. The launching dinner and fundraising event which was sponsored by the Center for the Promotion of Inclusive Education (CPIE) under the steering leadership of Christian F. Sesay Jr., Executive Director, a doctoral candidate in special education, attracted many people from different walks of life – educators, professionals, philanthropists and faith-based leaders. Giving the significance of the proposed CPIE project in Sierra Leone, keynote speaker, Dr. Dallemand, defined inclusive education as a moral human right that is compatible with the International Bill of Human Rights. It is therefore essential for post war Sierra Leone to integrate with a fullness of understanding to its educational practices and curriculum design. Dalleman said that promoting the rights of students with disabilities is fundamental human rights that CPIE is trying to pursue. The Center for the Promotion of Inclusive Education seeks to combat the discriminatory attitude that is pervasive amongst Sierra Leoneans towards children with disabilities. It further seeks to create an enabling academic climate not just in schools in Sierra Leone but in other parts of the sub-Saharan region. In his presentation, Dr. Dallemand described people with disabilities as precious and honest and they deserve basic needs just as their abled peers. Therefore, he said, “Exclusion from the educational system is a serious violation of human rights”. He advised Sierra Leoneans to be involved in this worthy cause because he believes that CPIE will promote tolerance and enable social cohesion as it fosters inclusive social culture and promotes equal participation in society. Dr. Dallemand said that Sierra Leone would not achieve a quality of education without including those on the bottom because the strength of a nation’s educational standard is a good as its weakest link. Inclusive education is a worthwhile social service that can impact a nation with higher expectations and families will be more integrated to communities. The Executive Director of CPIE, Mr. Christian Sesay, Jr. made it clear to all present that he was inspired by the research findings in his doctoral field work in Sierra Leone last summer. He realizes that Sierra Leone, compared to other countries is still lagging behind in his inclusive education practices. He lamented that it is unlawful to discriminate against students with disabilities and that there is no justification for this in a country that he considers home. CPIE’s main goal is to create an institution that is geared towards empowering children with disabilities and providing them with opportunities that will establish an equal playing field for these children through research, teacher training and development, media outreach, and advocacy. 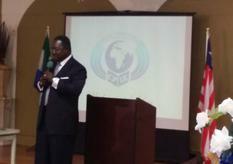 He said that his agency would create meaningful benefits to children with and without disabilities across Sierra Leone. Mr. Sesay expressed his awareness about the universal call for equitable and accessible education for children with disabilities and, as one of the stakeholders he said, “It is our responsibility to provide them with the necessary resources”. 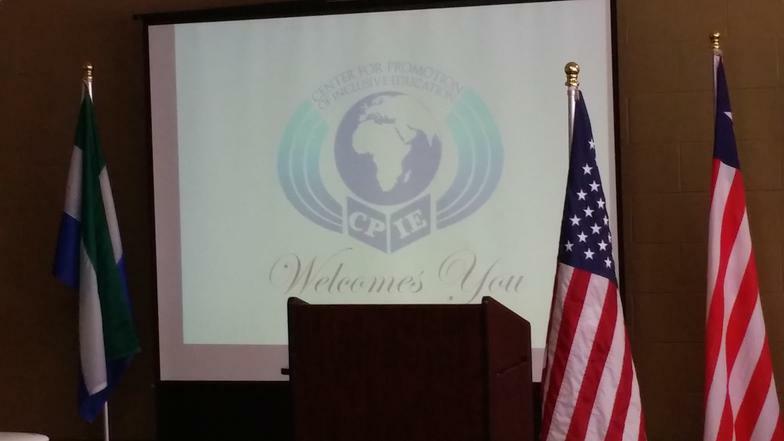 Prior to this launching, it could be recalled that CPIE had begun making outstanding efforts in creating stronger educational ties for children with and without disabilities in Sierra Leone when it awarded 60 scholarships to students who are extremely vulnerable. In 2014, it has announced its plan to give out about 150 scholarships to students with disabilities around the country this summer and will launch in Freetown and train about 150 teachers in Freetown as well.